I am excited to be one of the selectors for wonderful 10 x 10 American Photobooks project. like all of them because all of these are intelligent and inquisitive adventures, experiments and at the same time very sincere forms of self-expression. 1. Doug Aitken. 99 Cent Dreams. (Aspen: Aspen Art Museum, 2008). The catalogue includes still images taken by Doug Aitken, widely known as his works using large screens. His installation is an purely unforgettable experience of photography which overwhelms us with its isolation. This book tells not only his film works, the slices of moments of them are also beautiful. 2. Roe Ethridge. Apple and Cigarettes. (Beverly Hills: Gagosian Gallery, 2006). One of the greatest books of Roe Ethridge, known with his editing of photography mixing large format portraits, advertising images, found photos. This editing is not to create a story, but the opposite. There is no ending, no beginning, no narrative, the editing itself has no intention. Still it is not nothing, it is rather a freedom. 3. Lee Friedlander. Stems. 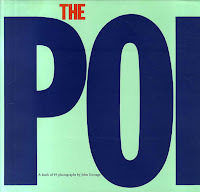 (New York: Distributed Art Publishers, 2003). Friedlander, who was on the street, in town with camera in his hand, changed his way to be a still life photographer in the mid 90s. WIth his knees injured, he had to stay home and took these works of stems of flowers, decorated by his wife. Quiet and wild pictures of stems through the glassed of the vases in Black and White. It was his eyes, not only feet, made him a master of photography. 4. Jason Fulford. Mushroom Collector. (Amsterdam: The Soon Institute, 2010). Jason Fulford , a photographer and a founder of J&L Books made this book started with the pile of pictures of mushroom which his friend found in a flea market. The playful and intelligent mixture of images tells that his appearance is important for contemporary American photography. 5. John Gossage. The Pond. (New York: Aperture, 2010). The American beauty, which is based on the aesthetics of Henry Thoreau, the absolute beauty of untouchable landscapes by Ansel Adams.Those are quietly standing behind and looking down like a big mountain as one of the absolute quality. This book tries to capture the other side of the nature, it is more real, like a human touched nature and its beauty. 6. Ryan McGinley. Everybody Knows This Is Nowhere. 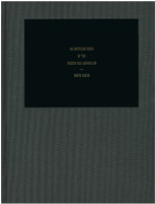 (New York: Dashwood Books, 2010). This book convinced me of how powerful Ryan McGinley is, with the images of very subtle beauty of human shapes between the decisive moments taken with such a calm eyes. He is not taking picture of youth, nudes, street or any other those pop elements, but something hidden, something beyond those subjects. 7. Taryn Simon. An American Index of Hidden and Unfamiliar. (Göttingen: Steidl, 2008). The photographs including radioactive containers in a storage facility for nuclear waste; the recreational facility of a high-security prison; the headquarters of the Ku Klux Klan with its Wizards, are captured with traditional American photography style of landscapes, which makes us not realize the context instantly. Simon is definitely one of the most important contemporary American photographers with her great political attitude depicting the contradiction the country has, based on a massive research and study. 8. Alec Soth and Lester B. Morrison. Broken Manual. (Göttingen: Steidl, 2010). A "broken manual" by Alec Soth. With its perfection of book making, it is definitely one of the greatest American photobooks with humor, wildness, intelligence and such a power of photography. 9. Penelope Umbrico. 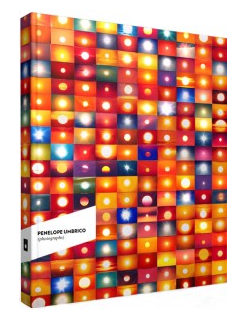 Penelope Umbrico: Photographs. (New York: Aperture, 2011). In the process of internet expansion since the 90s, Umbrico has worked on the pieces using the vernacular photos and ubiquitous images as a resources. The gathering of the images she collected itself has no meanings but what it tells is that what we see and how we consume the information through the images, and how the culture itself is build upon it. 10. 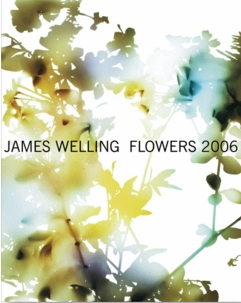 James Welling. Flowers. (New York: David Zwirner, 2007). A beautiful images made by a conceptual photographer James Welling using a common southern California plant. Those images by Welling, who were deeply influenced by Andrew Wyeth, one of the most famous painters of American Realism, give us a opportunity to think about the relationship between American photography and paintings. Born in Tokyo, in 1981. Graduated from Sophia Univ., worked in design companies. Has been working as a director of G/P gallery and an editor of artbeat publishers. Working in various projects of photo exhibitions and publications. Also works as a writer for magazines and websites. Thank you Fukai-san for your insightful selection!